Thredz is the leading and unique fashion brand, which has released various dress collection on different occasion. This fashion brand displayed the dresses according to the seasonal demand or on the arrival of different festivals, which can help to increase the demand of the clients. 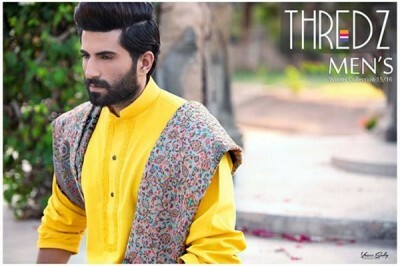 Now Thredz men winter collection 2015 has been launched in the market, which is great for the men wear and these dresses are prepared for the ready to wear, prêt wear and casual wear. The fashion brand has also prepared the dresses for the women for this winter season and they are also great to get the attention of the women and girls. The boys and men should check the whole collection of Thredz winter wear dresses for 2015 for men. In this collection, they will find the excellent designs and styles of kurtas in the medium and long size and all of the kurta dresses are great to pair with shalwars. 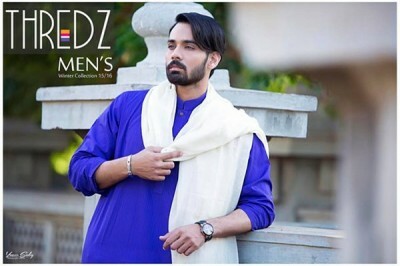 The boys and men can also wear kurtas with jeans to enhance beauty and elegance in their personality. The kurta shalwars are prepared in attractive and impressive styles and designs. The light embroidery work on kurtas on the neckline and collars, make them unique and pretty. 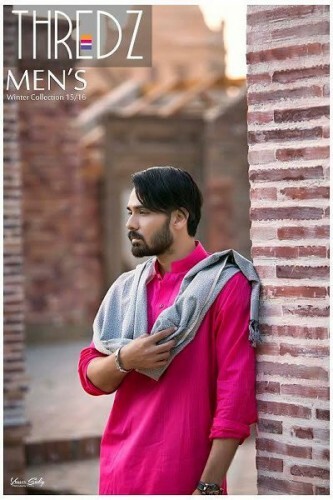 Men need to check the whole collection and they can choose the best one from this whole collection of kurta shalwars for the family dinners, jumma Mubarak and casual gatherings. 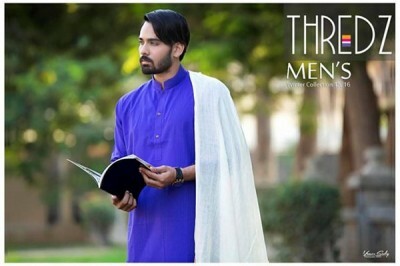 The readers can find the whole collection in the images of the latest collection of Thredz winter collection for men and in these dresses, the dark and bold colors are used to make them unique and attractive. 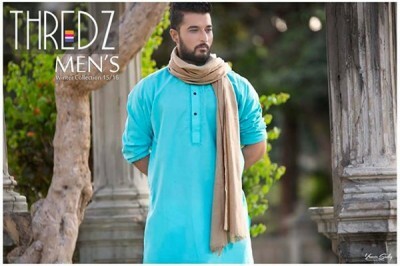 The dresses are available on the reasonable rates and the men should visit the leading outlets of their cities, so that they can get the wonderful and latest collection of the men kurtas shalwars for 2015.